Using an airplane will save and make you money in many different scenarios. Remember, tracks cost money! 2-3 % on a good clean field, more when you have potholes and slews in the field. 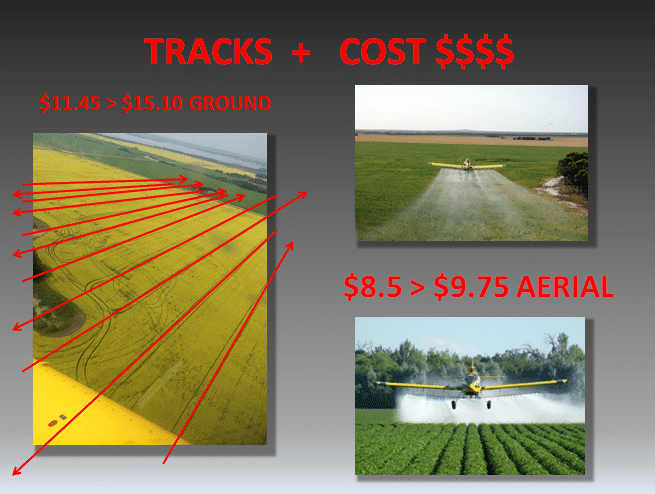 Let’s call all this $2-3 dollars worth an acre, ALL above what you already are paying for your ground sprayer. $1480 COST ——————————– BY AIR! 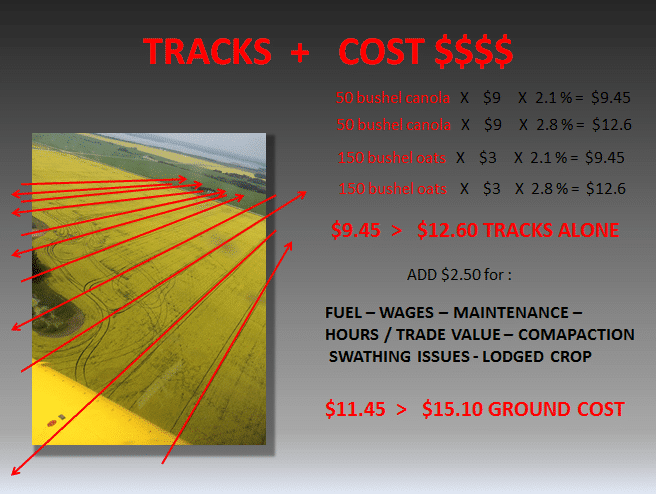 That’s $270 dollars for every 160 acres you spray, with no headache, just a phone call and a chemical delivery! Remember, your time is valuable! Your time at the lake is valuable, your time with your family is valuable, your time with your kids at the lake is valuable. Why have the headache of fungicide and insecticide application when you can just make a phone call! That costs you less than the doing the hard work yourself. I’m here to help take the pressure off the summer! With good advanced communication the airplane can easily hit the timing windows that are so crucial with fungicide and insecticide applications, and with some progressive farms even going to two fungicide applications in some scenarios, it’s hard to hit all those acres! But we can help. It’s another tool in your toolbox, and I’m here or free! When you choose air, it pays for itself, just look over the numbers. And remember you need the ground sprayer anyway! But you don’t need to spend the extra tracks, time, fuel, wages, and effort. 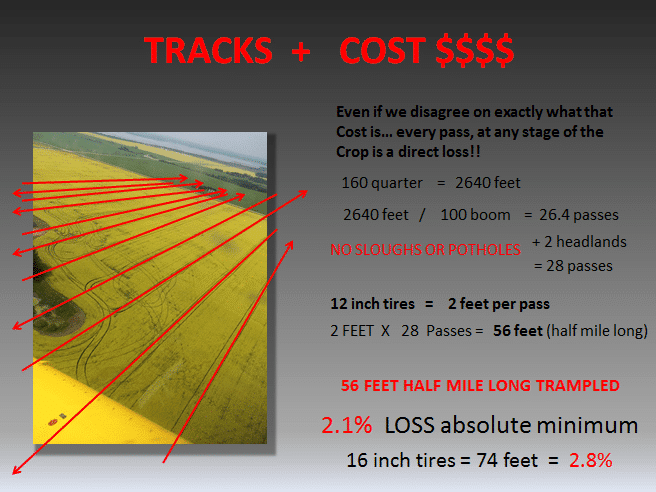 What do tracks cost in your field?